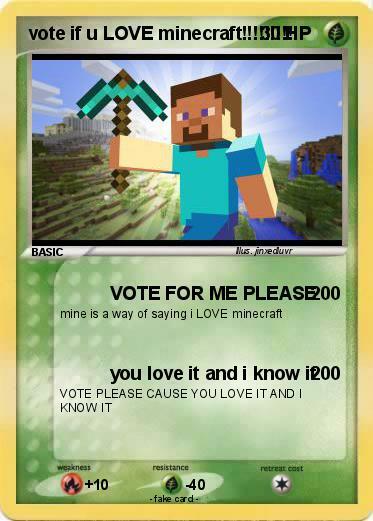 Name : vote if u LOVE minecraft!!!!!!!!!! Comments : HI I AM JINXEDLUVR AND I HOPE YOU WILL VOTE CAUSE I HAVE TONS LIKE STRANGER DANGER AND GHOST DOG AND OF COURS THIS ONE SO PLEASE VOTE AND I WILL CREATE MORE,THANK YOU SO MUCH!!!!!!!!!!!! !